G2 Grid® for Other Finance & Admin. Other Finance & Admin. reviews by real, verified users. Find unbiased ratings on user satisfaction, features, and price based on the most reviews available anywhere. Square Invoices is a software that offers sellers an easy and affordable way to get paid faster, send invoices from mobile device or computer. 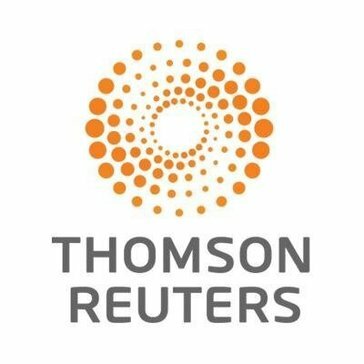 Thomson Reuters CS Professional Suite is the most comprehensive line of integrated software, research and guidance available to the accounting profession. It's everything you need to power smoother workflows, make more informed decisions, improve client service and achieve better results. Tick is time tracking softwarethat designed to help teams easily track time and hit their budgets. Hubdoc is a cloud accounting application that automatically fetches financial documents from hundreds of banks, utilities, telecom providers, and online vendors; extracts the key data; and seamlessly syncs transactions to cloud accounting platforms with source documents attached. With Hubdoc, reconciliation, payment processing, and audit-proofing are just a few clicks away. Quicken is a personal finance management tool that helps to organize and manage personal budgets. TopNotepad is a super simple cloud invoicing, accounting and CRM software for freelancers and small businesses. A feature rich affordable, all-in-one software. Creditsafe, the Global Business Intelligence experts, is the most used provider of online commercial credit information in the world. With over 200,000 subscription users across the globe and 16 offices in twelve different countries, we pride ourselves on the quality of our data and hold information on over 240 million companies worldwide. We provide financial information on small, medium and large businesses across the world; such as a company’s status, key financials, verified details, payment data, plus much more. Our executive product suite consists of a range of business solutions such as company credit reports, monitoring tools, marketing data, and debt recovery tools all supported by one of the most predictive credit scoring algorithms on the market. Creditsafe ensures you feel secure that you are making sound, informed business decisions based on the information you receive from our system. We offer both local and international company credit reports instantly available with online coverage in over 60 countries. We can also supply a freshly investigated company credit report on any company anywhere in the world within 2-10 working days. All reports benefit from a standardized credit rating that allows you to compare international companies to local ones. CaseWare Working Papers is highly flexible engagement software that provides you with everything you would expect from an assurance and reporting tool plus much, much more! Engagements are planned, performed and reviewed entirely on screen, completely eliminating paper. Vestd is the UK’s first automated equity distribution and management platform for small and medium-sized enterprises (SMEs). Our cloud-based platform simplifies every aspect of how equity distribution is arranged and managed. We help private businesses save time, hassle and money by making it possible to use equity to help meet businesses meet their goals. MIDAS (https://mid.as) is a powerful and intuitive browser-based scheduling system that gives you complete control over your room bookings & resource scheduling. Accessed entirely from your favorite web browser, see at a glance when your bookings are scheduled, manage staffing & equipment, send confirmations & invoices to clients, take booking requests through your website, and put an end to confusion & double bookings once and for all! As all you need is a browser, your MIDAS booking system is readily available wherever you are! - Whether at the office, at home, or on the move - from your desktop, laptop, tablet or mobile device - your booking information is right at your fingertips! Available to download (for use on your own server), or as cloud hosted SaaS (Software as a Service), MIDAS drastically cuts down on your costs, by streamlining the time spent on booking & administrative tasks, and reducing the amount of paperwork! Outplanr turns your to-do lists into real, feasible work plans, that also include time spent on meetings. Fraud and identity management solution for industries. Agiliron Software offers a multi-channel SaaS product for businesses who sell on-line and at brick and mortar stores and need to integrate all their channels together. FMAudit’s approach gives you two-way communication between your accounting and dispatch systems. This two-way communication streamlines business processes and eliminates overhead related to meter billing, supply reorder processing, service deployment, purchasing, and managed print services assessment and proposals. Improve your cash flow with actionable forecasting and risk scoring tools and empower your finances. Access fast and affordable funds to grow your business. StockVantage is a web-based solution that leverages the functionality and reliability of Solium Capital Inc’s Shareworks™ application – providing enterprise caliber functionality to small and mid-size companies. Debitoor is an invoicing and accounting application that help freelancers and SMEs thrive through producing professional invoices and managing finances. Advents Moxy trade order management system is your firms command and control center a centralized platform for making and executing trading decisions quickly and confidently. With tools for portfolio modeling, rebalancing and drift analysis that feed directly into trade creation, Moxy streamlines your trading workflow while giving you control and visibility across the entire process, from asset allocation through settlement. Invoice Home is an intuitive software system that allows customers to generate invoices through the use of 100s of free invoicing templates. Customers may join and use for free, while they create, edit and email invoices and other financial documents such as quotes, estimates and receipts to their customers, or download the completed invoice templates to a PDF or excel file in order to print. The system is purposely kept simple, clean and fresh so that anyone can quickly and easily fill in the proper information required, choose a unique template and personalize with a company logo or photo and be done in minutes. 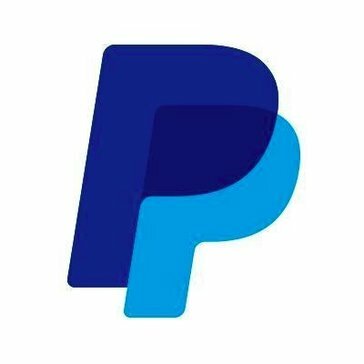 There are several payment platforms offered such as Gateway and PayPal so that customers can get paid instantly, or there is an option to manually mark invoices paid if it is being paid via cash or check. Standout features include auto numbering, multi taxes, unlimited storage, automatic backups, and over 150 currencies supported by the system. Morningstar Office SMCloud, the new web-based platform for modern advisors. PayFit helps your company manage Payroll, expenses and vacations through a intuitive web interface. Currently available in France only. SmartHub lets your customers manage all aspects of their utility or telecommunications accounts online or with their mobile device. Access Financial Solution is a finance and accounting software that integrates with Access comprehensive business software suite and third-party solutions, from core ledgers, sales order processing and procurement to workflow forms, document management and reporting. Auxmoney is an online peer-to-peer loan marketplace. Broadridge Advisor Portal is a sales, education, and client communication solution that enables you to deliver current, concise, and FINRA-reviewed resources to your clients and prospects. •	Retain more clients by staying in touch and establishing yourself as an expert •	Get more business from your contacts by instantly sharing the appropriate content for every situation •	Save time by easily delivering FINRA-reviewed content in a variety of formats Call +1 800 233 2834 to order To learn more, visit www.broadridgeadvisor.com Emerald Connect and Forefield are now Broadridge Advisor Solutions. Morningstar ByAllAccounts gathers, transforms, and delivers financial account data. Connex for QuickBooks is a powerful accounting integration tool for desktop versions of Intuit QuickBooks including QuickBooks Accountant, QuickBooks Pro, QuickBooks Premier, QuickBooks Enterprise, and QuickBooks Point-of-Sale. Connex supports integrations with more than 50 of the most popular e-commerce, inventory management, shipping, and CRM platforms on the market today, automating operations such as accounting, inventory updates, order management and more. Designed for small-to-medium-sized businesses, Connex offers unprecedented freedom from data entry and piece of mind by making data entry a thing of the past. Try Connex out for free! Cost Gem is a tool to manage cost and income for architectural or engineering management. Timesheets, Work Schedule, Project Reports, Calendars, File Management, Non Productive Time, Sub-consultants, Revenue Forecasting & Invoicing. Customized Microsoft Dynamics 365 CRM deployment service, can be deployed on premise or on cloud. DocuSend works with any accounting, billing or CRM software to easily print and mail your documents for you. Just print your pre-addressed file to PDF and upload to www.docusend.biz. Uploading thousands of documents is as easy as uploading one or two. We have no minimums or contracts and it's an easy to use, pay as you go service. You can easily add inserts along with optional color, remit envelope and perforated paper. We also mail certified, foreign and oversize mail as well as provide a portal for tracking mail activity. eCubeApps is a cloud-based business data collection and analysis solution which can be used for Customer Satisfaction Survey, Field Data collection, Online registrations, Opinion Polls and Online Examinations. Hyperwallet’s payout platform provides growing organizations with a frictionless, transparent, and reliable way to manage payments and enhance the payee’s experience almost anywhere in the world. Trusted by enterprise, ecommerce, and on-demand platforms, Hyperwallet's flexible payment technology empowers businesses to securely and efficiently distribute funds from within a singular payment environment. TRX is a rebalancing software solution for RIAs who adhere to Modern Portfolio Theory (asset allocation). Multiview Financials is a comprehensive ERP financials suite that includes dashboards, forecasting, electronic approvals and others. OpenGov Budgeting And Performance is the only easy-to-use cloud-based solution that transforms how governments budget, measure performance, and engage the public. PayrollPanda is a cloud based software that focus on the processing and management of payroll for companies, it allows staff and administrators to click and check on their payroll with the click of a button. A sales system that helps advisors chart retirement courses for Baby Boomers. Inventory software for event rental businesses that is friendly and easy to use. SAP Hybris Products for Revenue Management Innovate with agility and increase transparency across the entire revenue management process from customer engagement to revenue recognition with agile, scalable and highly-automated billing, invoicing and revenue management solutions. Our on-premise, SAP Hybris Billing solution gives you the power to work more profitably in a complex partner ecosystem, reselling their products and services and sharing revenue accordingly. You’ll also be able to accurately anticipate the effect of new pricing models and create targeted offers that combine both products and services. With SAP Hybris Revenue Cloud, you can deliver simplified, personalized CPQ (Configure, Price, Quote), Order Management and Subscription Billing experiences nimbly from the cloud. You’ll gain the speed and agility you need to adapt in the fast-paced economy we live in. SCORE is a servicing company operating and reporting engine that is designed to drive loan servicing performance. Hi there! Can I help you find the best Other Finance & Admin. solutions?